Lead is a chemical element that has many industrial uses. It’s commonly used in batteries, ammunition, dumbbells, and more. Unfortunately, it’s also highly poisonous to humans, and exposure to lead can cause serious health concerns. Due to its widespread use in past years, lead sometimes ends up in our drinking water supply! You definitely don’t want to be drinking this toxic element – but luckily, you can filter it out. 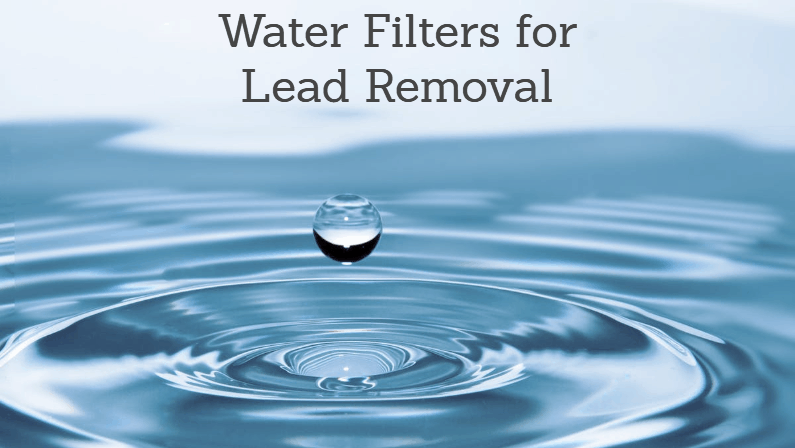 If you’re looking for the best water filter for lead, we’ve got you covered. The issue of lead in drinking water gained widespread attention after the ongoing water crisis in Flint, Michigan was brought to light. Unfortunately, lead in drinking water is more common than you might think. Many people search for how to filter lead out of drinking water, so we put together this guide. There are many different types of water filter out there – and not all of them are effective in removing lead. So, we did the research to identify the best water filters that remove lead effectively. Here’s what we found. The options below are what we consider to be the best lead water filters on the market. For more on how we made these selections, see the “how we chose” section below. 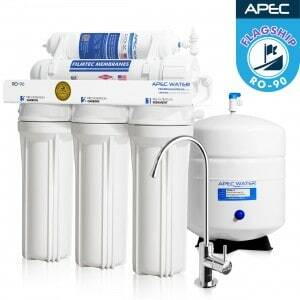 The APEC RO-90 is likely the best water filter for lead removal. It’s a reverse osmosis system, which is thought to be the most effective for lead removal. This unit is also WQA Gold Seal Certified to remove up to 99% of contaminants, including lead, chlorine, arsenic, fluoride, heavy metals and more. This unit has earned a nearly flawless rating with Amazon customers. It’s backed by a 1-year satisfaction guarantee, and features a high capacity of 90 gallons per day. It installs under your sink (requires basic plumbing knowledge), and is designed to last a very long time. If you want a unit that installs out of the way under your sink, look no further than this model. Click here to learn more about the APEC RO-90! 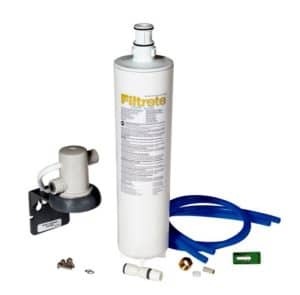 For an affordable option, the Filtrete Maximum is the best water filter for lead. In lead water filter reviews, it’s consistently earned very high marks – despite the fact that it costs just a fraction of other models. While it’s certainly budget-friendly, the Filtrete doesn’t skimp on filtration technology. It’s NSF Certified for the reduction of lead, microbial cysts, chlorine and more. This is an under-sink unit that installs into your current plumbing setup. It doesn’t come with a faucet, but will work with your existing unit. This unit is marketed specifically for its ability to remove lead, which is notably impressive for such an affordable filter. If you’re on a budget, this is the best lead water filter in its price range by a long shot. Click here to learn more! 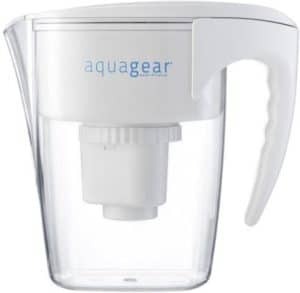 The AquaGear Water Filter Pitcher is an advanced filtered water pitcher. While most similar units only filter out the basics, this high-end model is equipped with NSF Certified filters that can remove both lead and fluoride. The AquaGear has been rigorously tested against NSF Standards 42 and 53 – and was actually recently tested in Flint, Michigan for both lead and copper reduction. The AquaGear uses removable filters that are designed to last for around 150 gallons of water. That’s about 3 times longer than the average filter from Brita and other competitors. With that said, the filters are more expensive than average. AquaGear also comes with an impressive lifetime guarantee. If your pitcher breaks or stops working, AquaGear will replace it for free! Click here to learn more about the AquaGear. The CDC maintains a more detailed list of the health risks of lead poisoning. For a simpler explanation, watch the video below. In the modern age, lead can seep into water supplies accidentally. It could come from old piping that contains lead, or any number of other sources. While the crisis in Flint has captured the world’s attention, USA Today reports that lead contamination in water supplies is actually a LOT more common than you might think. How do you know if you have lead pipes in your home? There are a few things to think about. The most significant is the age of your home. Generally speaking, older homes (built before 1986) are more likely to have lead pipes than newer homes, which should not have any lead (at least in the US, where lead pipes are largely banned now). Filtration technology – Not all filters actually remove lead. It requires a specialized design. So, we focused on products with advanced water filtration lead technology. Value – We chose models that offer great value for the money. You definitely don’t want the cheapest option, but there’s also no need to spend a fortune on a water filter. Reviews – In addition to our own testing, we looked at lead water filter reviews from real customers. This was helpful because it allowed us to evaluate the effectiveness of each model when used in a variety of geographical areas with diverse water qualities. Durability – We recommended models that are built to last a long time. We also accounted for the lifespan of the removable filters, where relevant.